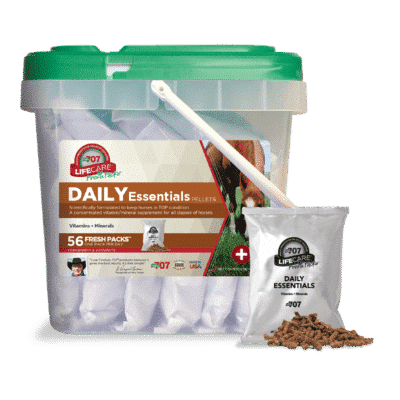 Formula 707 Daily Essentials is quite possibly the world’s best daily equine vitamin and mineral supplement! We developed Formula 707 Daily Essentials over years of carefully controlled testing on yearlings. 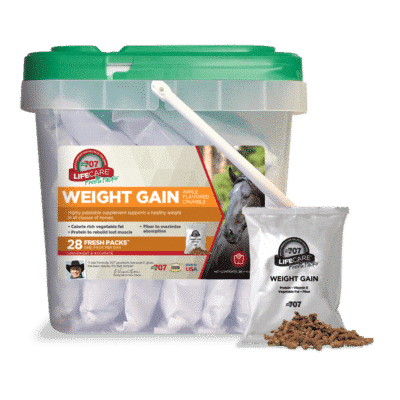 In our tests, we discovered that those horses who were supplemented with a combination of the right nutrients in the correct proportions had significantly better growth than the control group of horses fed only grain. In addition, those groups taking the Formula 707 Daily Essentials were observed to have a bloom, alertness, clear eyes, clean noses and a generally superior level of condition and appearance. 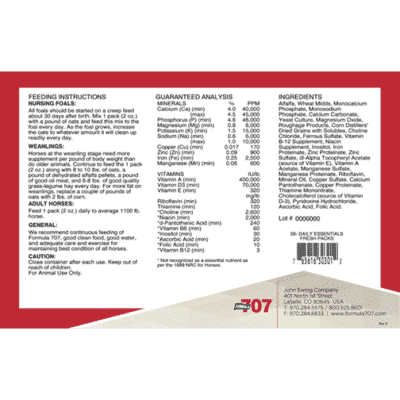 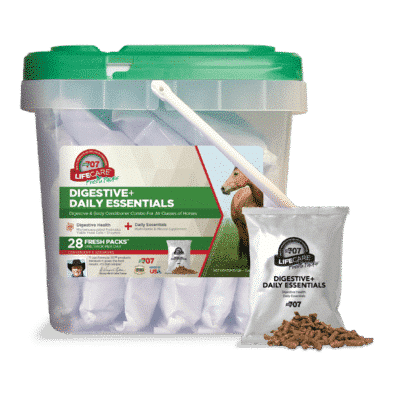 Containing every vitamin and mineral a horse is known to need, Formula 707 Daily Essentials is an ideal way to make sure your horse remains sound and healthy.